Find our products at JeffersPet, HealthyPets, LambertVet, Amazon and locally wherever quality pet products are sold! Wound Care Products For Dogs can be sprays, creams, or topical ointments to help dogs recover quickly from wounds, cuts, abrasions etc. Dogs need immediate and thorough attention to any wound that might happen during the course of their lives. Make sure that your cabinet has wound care treatments for your dog to ensure that he or she stays healthy and happy and never hesitate to call a vet. 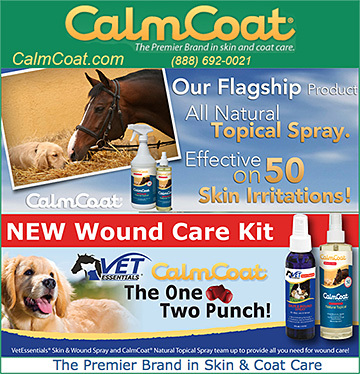 Serious wounds or wounds requiring stitches should always been seen by your vet as you may need antibiotics.